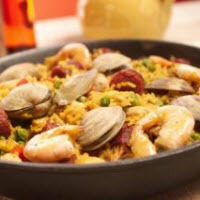 CooksRecipes has quality, kitchen-tested seafood recipes for a variety of dishes and casseroles, made with a medley of fish and/or shellfish, that you can count on for successful deliciousness. 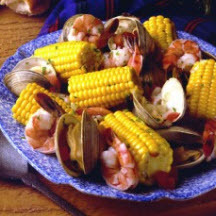 New England and clambakes are alway associated, but this clambake can happen anytime, anywhere. 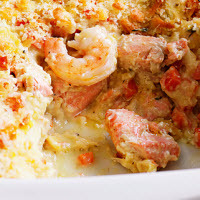 A delicious lasagna that feature two of the shelled treasures of the sea, shrimp and crab. Spain's famous paella originated in the Atlantic port of Valencia—but today, each region along the coast has its own version of the hearty dish.